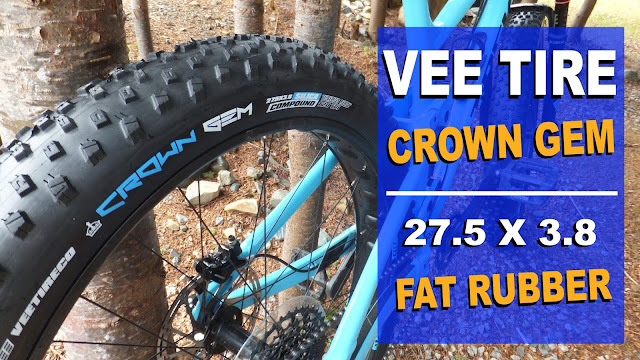 Everybody wants a little bling or personalization on their fatbike to make it their own and make it stand out from the crowd. 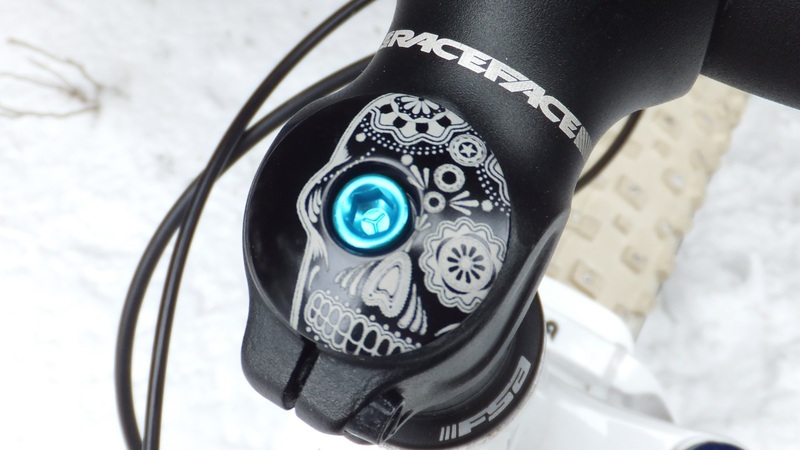 Grips and pedals have been the standard go to personalization upgrade, but what if you want something just a little more. 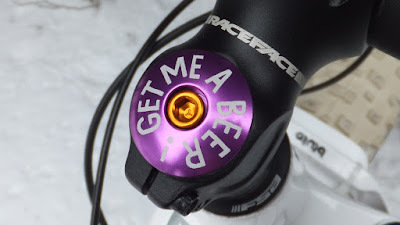 How about a customized stem cap? 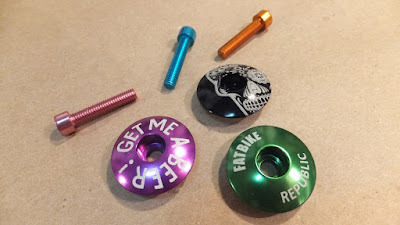 The folks over at KustomCaps make custom laser-etched stem caps in a bundle of anodized colours and have sent a few samples to Fatbike Republic for review. Made to fit 1 1/8 steerer tube, the most common size on modern bikes, KustomKaps offer a plethora stock caps, a “Your Message Here” cap or a fully custom cap. 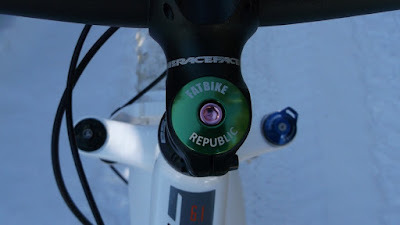 In addition to the coloured caps, they also offer coloured cap bolts and headset spacers. This is one of their stock caps and you can mix and match the cap colour with the “eye colour” of your choice. Another stock cap that you can mix and match colours. 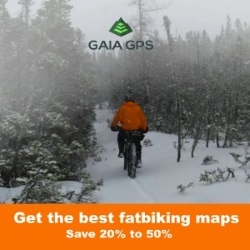 This one reminds me of cross between Homer Simpson and fatbiking. 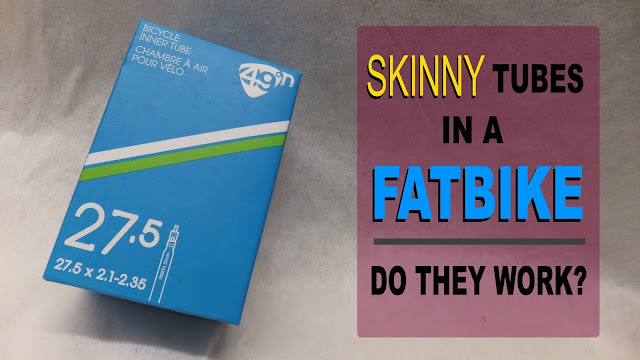 Mmmmmmm fatbiking! 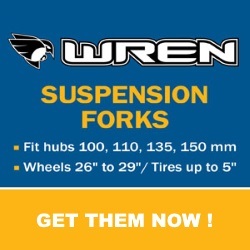 Your message, your graphic, your custom design. Download the template and follow the instructions. Let your imagination be your guide. Its not rocket science. Remove existing cap bolt, remove old cap, and replace with your KustomCap. Voila! While in the vicinity check your bar clamp bolts and steerer clamp bolts to ensure they are nice and snug. 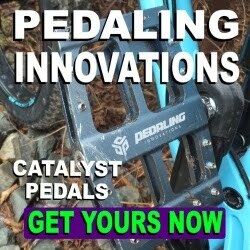 Caps run from $7.99 - $15.99 depending if you would like a stock cap or something a little special. 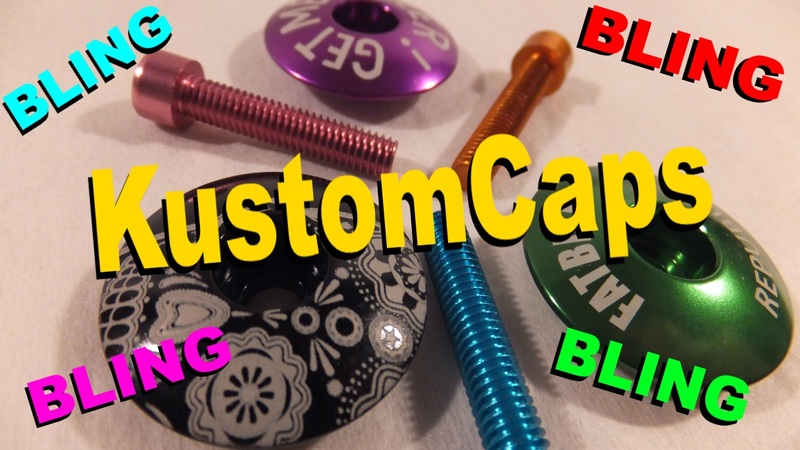 You can order one or 101 . . . whatever you need KustomCaps can set you up. 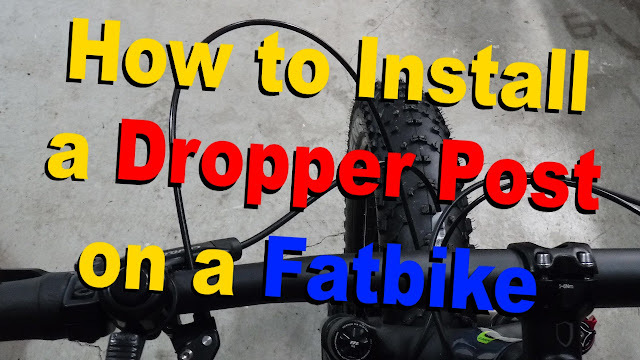 If you are looking for some serious fatbike bling head on over to KustomCaps and find or create something to express the inner chubby you.